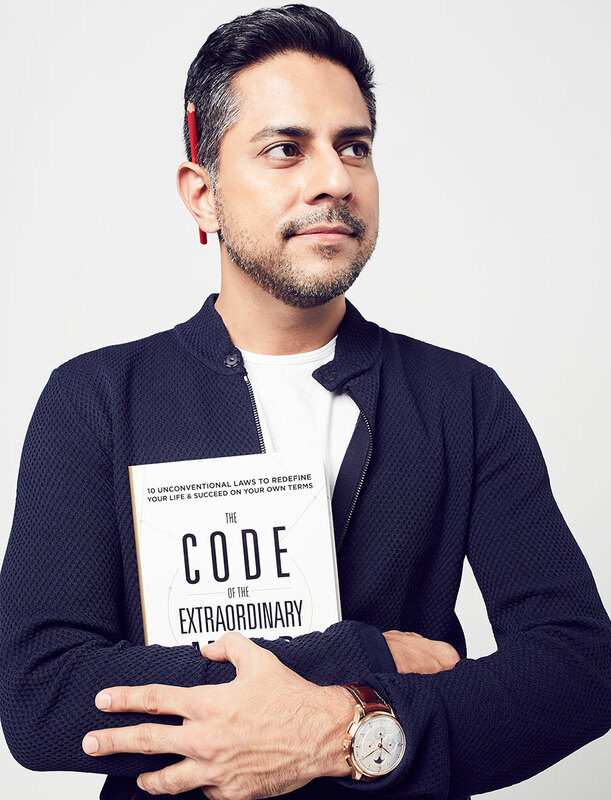 Vishen Lakhiani is on a mission to move 1 billion people to a different level of human consciousness by 2050 – and it all begins with unlocking one’s own mind. 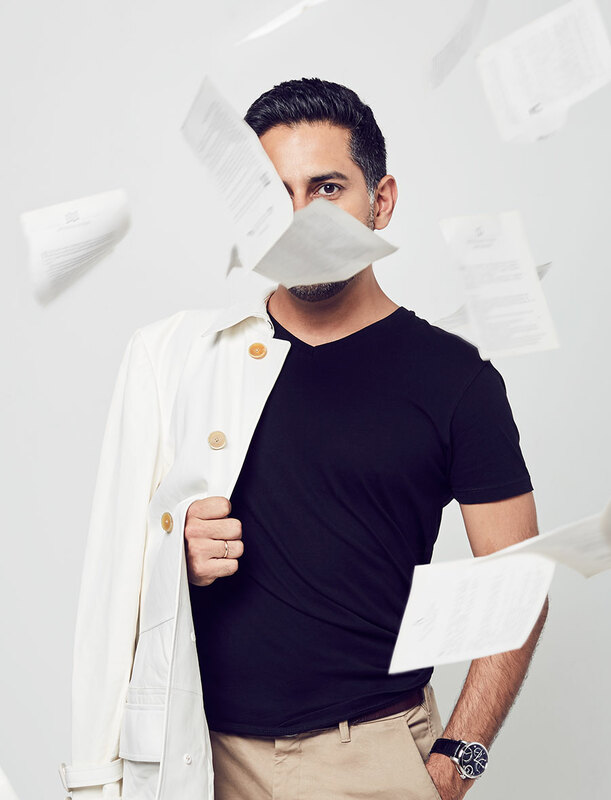 Vishen Lakhiani has seen his life change twice before his eyes simply by focusing his mind on it. The first time was when he was 17 years old and relentlesssly bullied in school for bad skin. Having read that your skin is the easiest organ to affect with the power of meditation, he began practising for 15 minutes twice a day, everyday, focusing on clearing up his acne. It worked. His life changed in that instant; with his new clear skin, he also found a new confidence in himself. The second time was when he was 26 years old, broke, depressed and sleeping on a couch in Berkeley, Silicon Valley, having lost everything to a failed tech startup. The burst of the dotcom bubble also tore down with it his community software that he had invested all the money he had – and some borrowed from family – into. Applying what he learnt about empathy, envisualisation and setting intentions to his new job as a software sales personnel, he doubled his sales in one week, before doubling it again in a month, and again the following month. Thus began an unstoppable mission for Vishen to create a company that will not only hone the best in an individual, but show that one can be as great as one dares envision, if only one knows the way to unlock these abilities. And that was how Mindvalley came about, a global company on transformational education headquartered in Kuala Lumpur, Malaysia. Vishen wears sweatshirt by Ermenegildo Zegna, pants by Bottega Venetta and an IWC Schaffhausen Portugieser Grande Complication watch courtesy of Swiss Watch Gallery. 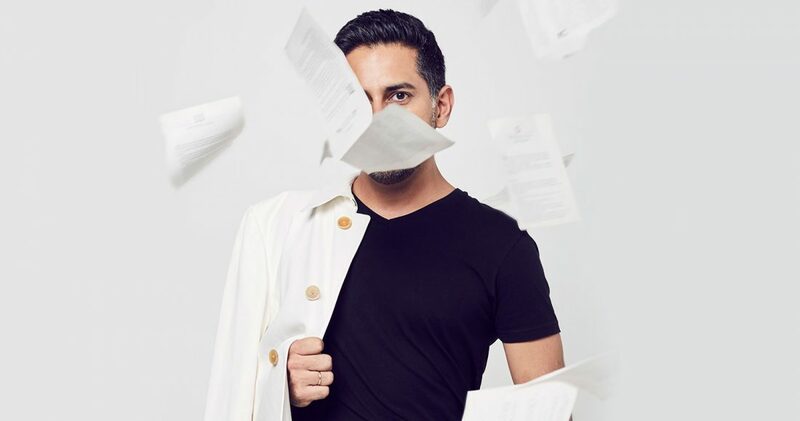 The unlikely and unfortunate series of events that led Vishen to return to Malaysia and start Mindvalley from a humble Starbucks in Bangsar began in 2003, when America was still reeling from the pain of September 11. Eighty-eight thousand men from Muslim countries were put on a special registration list, the same Muslim ban current President Donald Trump is trying to bring back. Vishen was one of them. The wise words of Nelson Mandela were what sowed the seed of Mindvalley, as Vishen sought to change the new reality dawning upon the world. Mindvalley steadfastly became more than that in the next decade and some. Vishen and his team pivoted its direction from an e-commerce website selling meditation programmes and then a social bookmarking engine to become what it is today – an education tech company specialising in holistic personal growth that designs learning experiences and teachings, taught by some of the best teachers scoured from all over the world. All that matters is Mindvalley’s objective: to change education globally and provide innovative, holistic education for all levels – from infant learning and highschool models to all stages of adulthood. Its ultimate goal: to move 1 billion people to the next evolutionary stage of human consciousness – cosmo centrism, also known as the ability to care for all things as an extension of one’s natural care for oneself – by May 2049. On Vishen: leather jacket by Ermenegildo Zegna and Zenith Chronomaster El Primero Tourbillon Skeleton courtesy of Swiss Watch Gallery. Everything that Mindvalley does is underlined by purpose, from the way they hire (“We hire people from all across the world to help create a world where you are welcomed no matter what your religion, your culture, your skincolour, your background.”) and the programmes they craft (“Is your job contributing to humanity? Everyday when I wake up and I do my meditation and exercise, when I’m working on my goals, I’m growing myself and in doing so, I’m enhancing my abilities to contribute to the world.”). Its long-term goal is the same. Vishen is in leather jacket by Bottega Venetta and sports a Maurice Lacroix Masterpiece Double Retrograde watch courtesy of Swiss Watch Gallery. It isn’t all talk with Vishen. To get there, he is in the midst of building a Mindvalley University that aims to be as influential on human history as the collective Ivy League universities of the world. This new school will break and dispose of all the culturescapes – the collective web of human habits, processes and beliefs inherited through our media, political cultures, religions, family upbringing, schooling system and more – that have held the human race back for far too long. The results can already be seen with Mindvalley’s current running programmes. There is a Mindvalley programme testified by users to double their reading speed in an hour; another quadrupled the efficiency of their workouts at the gym; and one programme has even showed effectiveness in reducing anxiety and fear, by means of – what else – taking control of your psyche through meditation. Returning to the question of purpose driving each of Vishen’s decisions, even his own deadline of May 2049 is explained for. Vishen sports turtleneck top by Dior Homme and a Maurice Lacroix Masterpiece Double Retrograde watch courtesy of Swiss Watch Gallery. Bill Gates once said that we tend to overestimate what we can do in three years, and underestimate when we can do in 10. Vishen Lakhiani’s 50 year goal may be at least 3 decades more away but that doesn’t mean he’s taking his time. “70% of our revenue today are from products that did not exist 12 months ago,” he tells, referring to programmes like WildFit, aka the world’s greatest weight loss programme and Mindvalley University which just launched in Barcelona. Its wildly popular Mindvalley Quest app is also new, downloadable just less than a year ago. 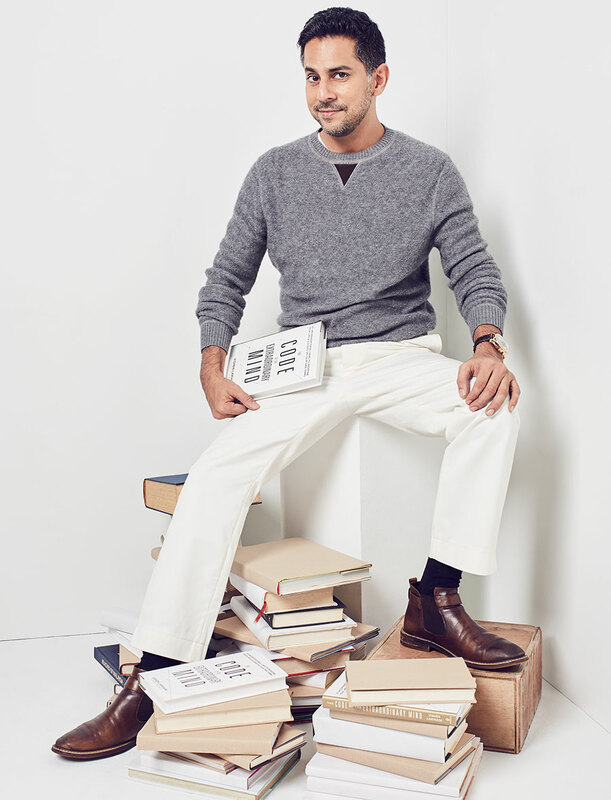 On top of all the constant experiments, he’s even found time to write a book ‘The Code of the Extraordinary Mind’ that became the number 1 book on Amazon globally across all categories on September 26, 2017, overtaking Stephen King and JK Rowling. Mindvalley even recently got an Emmy nomination for their first documentary film on transformational education called ‘Live Your Quest’. Its director Nick Nanton was nominated for Best Director. Perhaps herein lies the secret to Mindvalley’s enduring success that is breaking all geographical, cultural, intellectual, even spiritual boundaries. “Mindvalley is not a single product or solution. We’re a mission to move 1 billion people to a different level of human consciousness by 2050 because if we don’t, we risk creating a more dangerous world where there’s lower consciousness, but really powerful deadly weapons,” Vishen says. At that, we have no qualms he’ll achieve it, given the way he’s put his mind to it. Keep up with Vishen via Instagram here. Vishen has on the IWC Schaffhausen Portugieser Grande Complication watch courtesy of Swiss Watch Gallery.